Two professors in the University of Notre Dame’s College of Arts and Letters were awarded 2013 book awards by Christianity Today. The magazine reviewed more than 450 entries to determine the best new book in each of 10 categories. 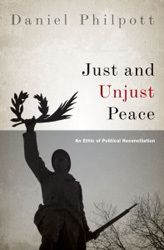 Daniel Philpott, associate professor of political science and peace studies at Notre Dame and a faculty member in the University’s Kroc Institute for International Peace Studies, won in the Missions/Global Affairs category for Just and Unjust Peace: An Ethic of Political Reconciliation (Oxford University Press). Philpott specializes in international relations and political theory, as well as religion and global politics. He drew upon two decades of activist work in central Africa and Kashmir to write the book, which makes the case for reconciliation as a route to justice and lasting peace after violent conflict. One of the most dramatic and interesting practices of reconciliation, he argues, is forgiveness. Just and Unjust Peace offers “new hope for solving one of humanity’s most intractable problems,” the magazine says. 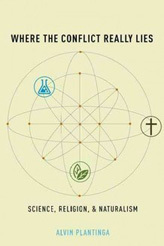 In the Apologetics/Evangelism category, renowned Notre Dame philosopher Alvin Plantinga won for his book Where the Conflict Really Lies: Science, Religion, and Naturalism (Oxford University Press). Plantinga, John A. O’Brien Professor emeritus in the Department of Philosophy, says he was delighted to learn that the magazine had selected his latest work as one of the best books of the year. “Their endorsement is certainly significant,” he says. “This book offers top-notch scholarship to pit against the very best arguments of contemporary atheism, as well as to clarify what truly is at stake in the battles orthodoxy faces in science, biblical studies, philosophy, and more,” Christianity Today says. Originally published by Chris Milazzo at al.nd.edu on February 20, 2013.